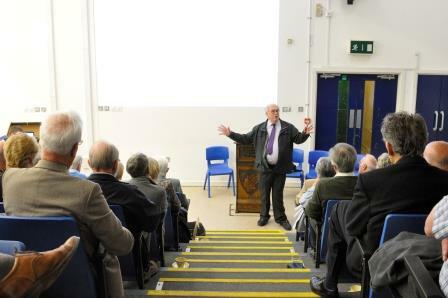 It was a really enjoyable day, with over 70 Old Latins assembling in a packed Archive Room and later in the afternoon in the Rotherfield Lecture Theatre. 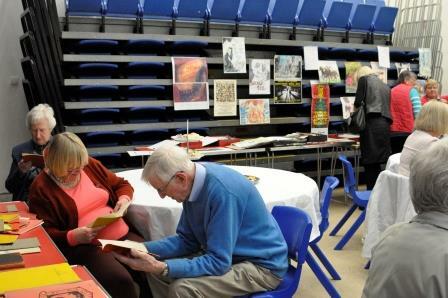 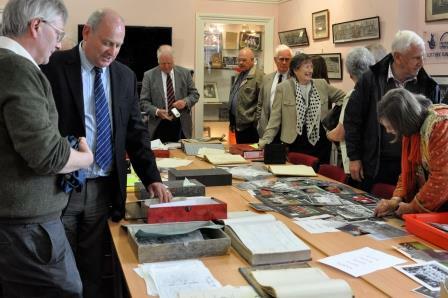 Especially pleasing were the ‘new’ Old Latins coming to the Archive Day for the first time, including Modge Hall, Brian (Charlie) Townsend and John Butler to name but three. 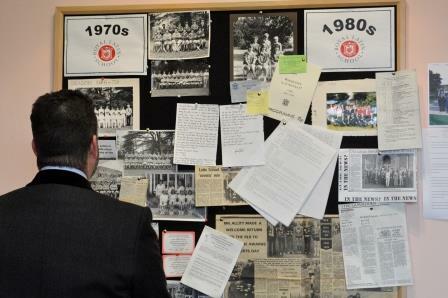 Old Latins were very helpful in adding to and correcting the list of Head Boys and Girls from 1945 – present day. Please look on this site to see our current list and help us to fill in the missing names! 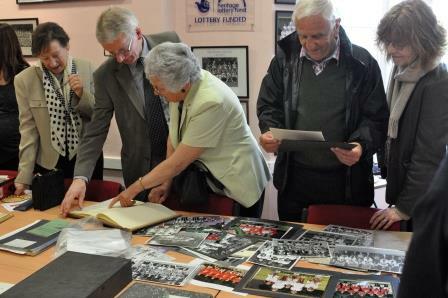 The Board of Head Boys and Girls is to be mounted in the main school hall along with the Honours Boards of students who won University places between 1913-1954. 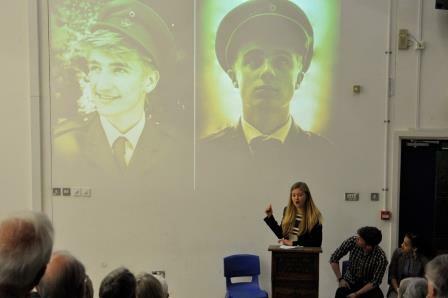 After cream teas in the Lecture Theatre three members of the Upper Sixth who, along with 30 other Sixth Formers, visited Ypres and the Somme last summer gave a deeply moving and articulate account of their experiences and feelings. 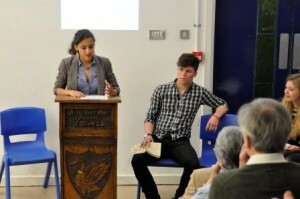 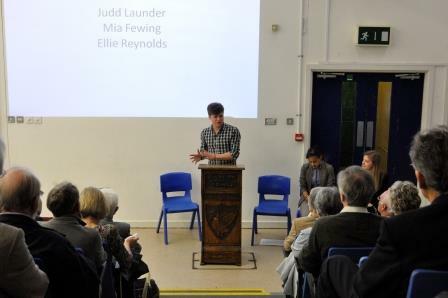 Judd Launder, Ellie Reynolds and Mia Fewing spoke so powerfully and simply that at least one Old Latin was moved to tears. There were only tears of laughter when the second speaker of the afternoon, Ed Grimsdale, began his address entitled ‘Three Heads are better than One’. His recollections of GKE, Peter Luff and Cecilia Galloway were humorous and gently affectionate. 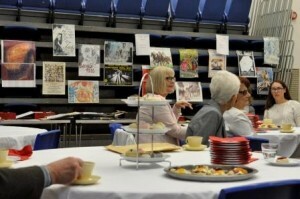 The audience, mostly pupils of GKE, enjoyed every minute. But who did introduce rugby to RLS? EG says GKE – Modge Hall says Bert Toft. 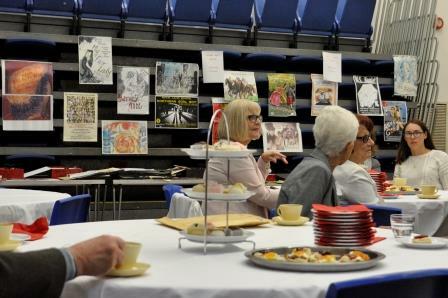 Later in the afternoon some Old Latins visited Grenville School to tour their old school site which added to the very enjoyable day but, most of all, Old Latins enjoyed each other’s company and being reminded through the Archive of their RLS careers. Thank you to everyone who attended and to the school staff and pupils who made the day so successful.